If asked to name people from Coatesville who have become famous, most area residents would probably think of professional athletes/C.A.S.H. alumni such as boxing’s Calvin “Silky Smooth” Grove, who had 49 professional victories and won the IBF featherweight world title in 1988; football’s Billy Joe, who was “Rookie of the Year” with the Denver Broncos in 1963; or basketball’s Richard “Rip” Hamilton, who was a three-time NBA All Star with the Detroit Pistons. Others who are more into the arts might choose from a trio of top-flight musical artists – Brian Fitzy, who has worked with bands such as Rusted Root and members of the Roots Crew and released more than a dozen records as a solo artist; Rosie DeSanctis, who is one-third of Tre Bella, a nationally-acclaimed trio of vocalists; and Fred Mascherino, a highly-regarded guitarist who has played in Taking Back Sunday, Terrible Things and The Color Fred. 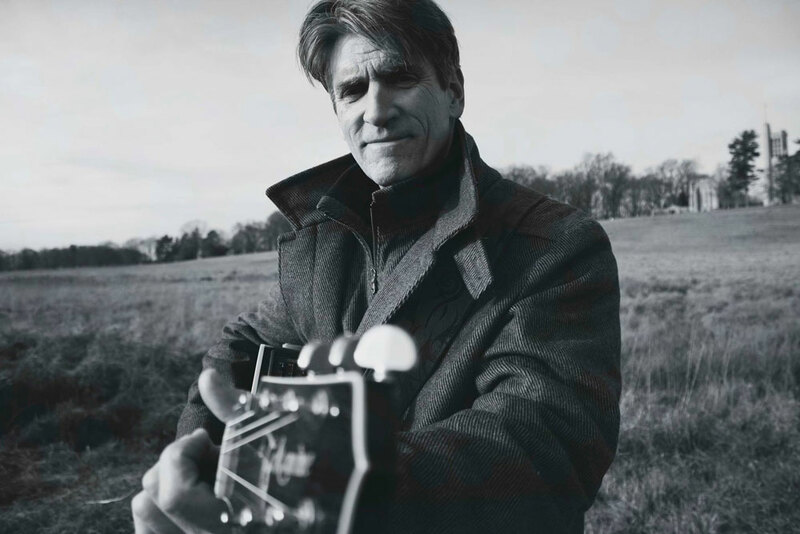 On January 5, Fitzy will be performing close to home when headlines a show at Kennett Flash (102 Sycamore Alley, Kennett Square, 484-732-8295, http://www.kennettflash.org). In addition to his evening performance at the popular club in Kennett Square, he will also be presenting a “Master Class for String Students” in the late afternoon. “I’ve had a busy 2018,” said Fitzy, during a phone interview Wednesday afternoon from his home in South Coatesville. “It’s amazing how fast time got away from me in the second half of 2018. I have one video – an animation video – that I’ve been working on for over a year. It’s about 90 per cent done right now. “I’ve been trying to get my new studio built. And, I’ve been playing with a lot of people and doing a lot of weddings. I’ve also been doing a lot of workshops. It’s been a year-and-a-half since Fitzy released his latest album “Hard Times for Dreamers.” The album dropped May 19, 2017 and Fitzy has been a busy man ever since. “That record that I put out almost two years ago will be the last album for the foreseeable future,” said Fitzy. “The music industry keeps changing. The idea of spending so much time recording and putting out an album isn’t that great. New music goes out of the audience’s attention too quickly. It’s hard to keep longevity. Still, Fitzy’s solo shows have been going over well. The album has been well-received, and Fitzy’s schedule of live shows is far from empty. The multimedia Mexican artist Sleepwalk made the tag. Its placement on a bleak intersection in an impoverished section of town surrounded by palatial resorts and well-to-do living accommodations hit home for Fitzy. Fitzy’s show at the Flash will be a little different than his usual shows. Fitzy’s show at Kennett Flash will start at 8 p.m. Tickets range from $12-$20. The free “Master Class” is scheduled to start at 4 p.m.
Berrier is a 16-year-old singer, songwriter, and musician from Kennett Square. She is currently a sophomore at PA Leadership Charter School (PALCS), where she attends The Center for Performing and Fine Arts (CPFA) to study theater and music. Berrier has been actively writing music since 2016 — the same year that she decided to take her music to the Kennett Flash’s open mic stage. 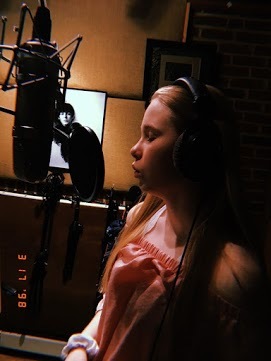 Three of Berrier’s original songs have reached music platforms such as iTunes, Spotify, and Google Play – “Farther,” “Mistakes Were Made,” and “Figure it Out.” She is also an active member of the Tri-M Music Honor Society and PMEA District 12 Chorus. Video link for Felicia Berrier — https://youtu.be/AOw2zYBkOA4. “Open Mic with guest host Felicia Berrier” will start at 7 p.m. on January 6. Tickets are $4. Another show at Kennett Flash this weekend will take place on January 4 and feature Glass Doors, Reece Ratliff and Evan Fox. On January 6, the Okee Dokee Brothers will visit the area for a show at the Sellersville Theater (24 West Temple Avenue, Sellersville, 215-257-5808, www.st94.com). 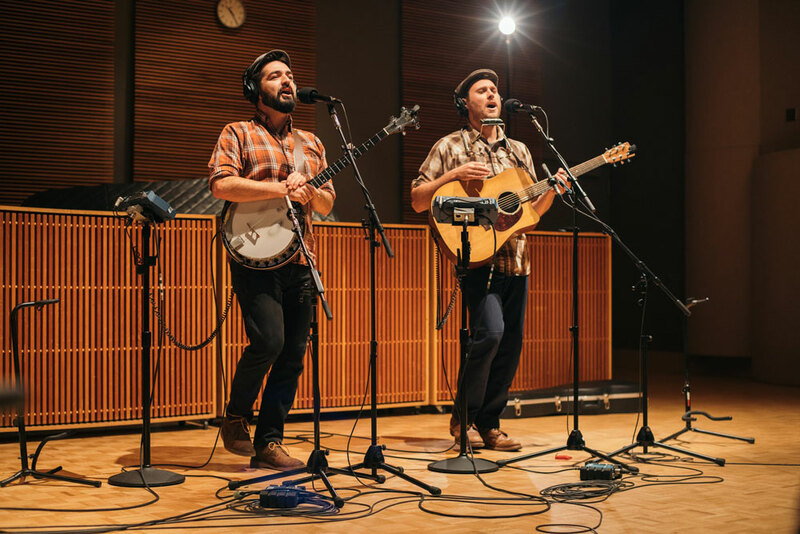 Hailing from the Midwest, the Okee Dokee Brothers are the musical sons of Homer and Gladys Okee Dokee – proprietors of the Okee Dokee Music Hall in Clutier, Iowa. 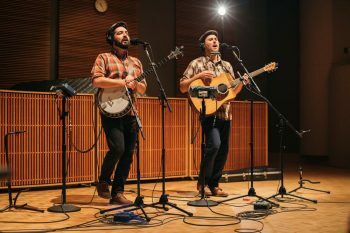 Actually, the Okee Dokee Brothers are an independent American bluegrass and American roots children’s music duo from Minneapolis – and they are not related. “We’ve known each other since we were three years old,” said Mailander, during a recent phone interview from his home in Minneapolis, Minnesota. “We grew up together in Colorado. Now, we’re based in Minneapolis. “I left Colorado and went to school in Minnesota at St. John’s University. Minneapolis has a great local scene – First Avenue. A lot of people come out to support local acts. “Justin and I came here together. We were in an eight-piece bluegrass band. We spun off as a duo to do children’s songs – to do family music. We had a lot of support in the Twin Cities when we started. We were playing parks and art festivals. As childhood friends growing up in Colorado, Mailander and Lansing were always exploring the outdoors. Whether it was rafting down their neighborhood creek or discovering hiking trails through the Rocky Mountains, they were born adventurers. Now, as the GRAMMY® Award-winning Okee Dokee Brothers, they have put this passion for the outdoors at the heart of their Americana Folk music. The Okee Dokee Brothers record and perform family music with a goal to inspire children and their parents to get outside and get creative. They believe this can motivate kids to gain a greater respect for the natural world, their communities and themselves. In 2011, the longtime friends began a canoe trip at the headwaters of the Mississippi River, and ended at the St. Louis Gateway Arch. During their month-long journey on the Mississippi, they camped, canoed, filmed and composed the songs that make up their album “Can You Canoe?” This CD-DVD was the first release in their Adventure Album Series. The album won the GRAMMY Award for Best Children’s Album of the Year in early 2013. In 2013, The Okee Dokee Brothers embarked on their second adventure, a month-long trek on the Appalachian Trail. They hiked, camped, met mountain musicians, and wrote the songs that make up their second CD/DVD in their Adventure Album Series, entitled “Through the Woods.” This album emulates the instruments and styles heard in traditional old-time Appalachian music and was nominated for a GRAMMY Award for Best Children’s Album of the Year in early 2015. In June 2015, The Okee Dokee Brothers went out West for a month-long horse packing trip along the Continental Divide. They rode horses, camped out, told stories, and wrote songs. The resulting album – “Saddle Up” covers tales of western wildlife, Navajo stories, Southwest-style Spanglish, the issue of guns in western lore, friendship, and more. In 2016, “Saddle Up” was nominated for a Grammy in the best children’s album category. The outdoorsy musical buddies celebrate the spirit of the winter season on their latest full-length studio album, “Winterland,” which was released in October 2018. It is a collection of 16 original songs exploring the wonders and beauty of winter. The Okee Dokee Brothers released five winter music videos to accompany the music. 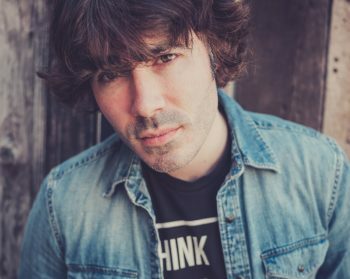 “The new album was inspired by the northern border – the Boundary Waters Canoe Wilderness Area in Ely, Minnesota,” said Mailander. “It was winter camping up north with dogs. We wanted to do a winter album that was not tied to the holidays. Video link for the Okee Dokee Brothers — https://youtu.be/b9pHG7p2Eb0. The show at the Sellersville Theater will start at 1 p.m. Tickets are $19.50. Other upcoming shows at the Sellersville Theater are John Jorgenson Bluegrass Band with Jack Murray on January 3, Unforgettable Fire (U2 Tribute) on January 4, Herman’s Hermits with AM Radio on January 5, and Lankum on January 9. The Steel City Coffee House (203 Bridge Street, Phoenixville, 610-933-4043, www.steelcitycoffeehouse.com) will present Ray Adkins & Friends on January 4 and 5 and Earth Songs Music Lessons Winter Concert Series on January 6..
Chaplin’s (66 North Main Street, Spring City, 610-792-4110, http://chaplinslive.com) will host Ricks Office Band, Five Minute Major, The Walton Marquette Project, and Small Batch Bourbon on January 4. The Ardmore Music Hall (23 East Lancaster Avenue, Ardmore, 610-649-8389, www.ardmoremusic.com) will present “The All-Star ‘Graceland’ Tribute Band with Bakithi Kumalo & Ryan Tennis” and “The Music of Simon and Garfunkel: Looseleaf, Stella Ruze, Emily Drinker” on January 4 and Steal Your Peach (Grateful Dead / Allman Brothers tribute) and The Newspaper Taxis (Beatles Tribute) on January 5. The Locks at Sona (4417 Main Street, Manayunk, 484- 273-0481, sonapub.com) will host Dan May with special guest Sierra Hurtt on January 5. Jamey’s House of Music (32 South Lansdowne Avenue, Lansdowne, 215-477-9985, will present Charles Walker Band and Cookie Rabinowitz on January 4 and “First Sunday Blues Brunch and Jam” on January 6.